The drive toward edge computing is driven by mobile computing, the decreasing cost of computer components and the sheer number of networked devices (5G) in the Internet of Things (IoT). Depending on the implementation, time-sensitive data in an edge computing architecture may be processed at the point of origin by an intelligent device through input from different sensor sources to smartphones and tablets, or sent to an intermediary RDM server located in close geographical proximity to the client. Data that is less sensitive is sent to the cloud for historical analysis, big data analytics and long-term storage. 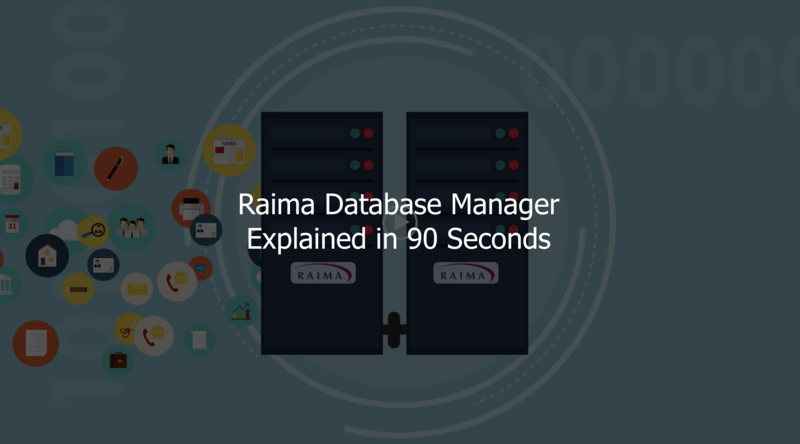 Raima Database Manager (RDM) is a high-performance, mobile database management system ideal for the developer creating applications for mobile devices such as smartphones or tablet devices. Specific APIs, such as JDBC for Android, make integrating the mobile database functionality as easy as accessing a native API call; the package is specifically tailored for that platform, avoiding any unnecessary code or other overhead being packaged along with your applications. RDM supports the use of B-tree, Hash, R-tree and AVL-tree indexes. B-tree, AVL -tree and Hash indexes are optimal for various types of numerical and character data, while R-Tree indexes are perfect for geospatial data. Raima supports whichever index type is most optimal for the mobile database developer. For the iOS platform, RDM includes the C/C++ API, which provides an intuitive and familiar interface for Apple developers. Likewise, on Android, the JDBC interface allows the programmer to access database functionality through the expected Java APIs. Configure your database to run completely on disk, completely in memory, or a hybrid of both, combining the speed of an in-memory mobile database and the stability of on-disk in a single system. Efficiently allocate transaction processing to take advantage of multi-core systems for optimal speed. The mobile database engine has been developed to fully utilize multi-core processors, run within minimal memory, and support both in-memory and on-disk storage. Implemented as a linkable library, this database is available to easily become an embedded part of your application. RDM will satisfy most single- or even multi-user application development needs in the mobile environment, providing fast, indexed, multi-table, real database functionality to your application. All this power is directly available at the fingertips of your users, instead of requiring WiFi or other connectivity to a backend server somewhere in the cloud. Remember, RDM is scalable, providing cloud and fog computing solutions for businesses as they navigate the Internet of Things.